Generally doesn’t really affect us as Gold holders as most of our spend’s on travel. Where it does affect us is referrals. I won’t be able to recommend any of these cards to friends and associates because I’m going to look miserly and weak touting for such a small bonus. I’m also looking at our supplementary cards as not sure they are worth the fee as I’m still stinging about last weeks insurance fiasco. 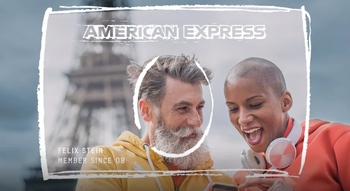 Same here, will never mention amex again to friends or family, and they spent loads..annoyed about the referrals tho, was banking on them, and mr T to continue travelling at the pointy end! That’s fine, will earn enough for BA J to Asia annually. That will do plus big use of RFS if not. Qatar et al exEU, you will be fine. Anybody know if an application in married name is deemed as a “new” person? Probably is…! Give it a try and report back? If this is anything to go off I had to create a new BA account as my wife’s is still in her maiden name due to passport and her points kept being rejected so now she has two BA accounts and one day we’ll have to somehow merge them or spend up the points in one and stop using it. Only if there are no credit links to the old name, i.e. all bank accounts and cards closed, deregister and reregister on electoral roll etc. I think you’re wrong on both sides: accounts stay on credit files for 6 years after they’re closed and you need to give Amex the old name if it’s a recent change, the only way for them not to track it is to move and then not open anything for 3 years (which is much address history you need). But to be honest Amex will probably only use the credit report for approval, and will use their own data for the bonus, so if you don’t give them the old name they prob have nothing. You mean you are willing to go as far as to get married in order to be able to apply for a new card? i shouldn’t think so as most forms ask for maiden name to also be provided if status is married. I just called AMEX and will earn 2 points per £ for next 3 months whilst I decide whether to cancel my Plat and will try slip in a few referrals. I got it for 6 months yesterday…. And event then, i’m not really sure I want to keep it much longer. Thinking of cancelling and reapplying for gold or plat business after 6 month wait. Can you still refer people from the business cards to personal cards? Have these limits changed at all? the only hotel benefit I enjoy most value from is Hilton Gold and I get that from the legacy Barclaycard Hitlon as spend £10k on it. So all in, not sure if there’s value to keeping my Plat now. +1 and the only benefits we get exclusively through the Platinum are the car hire insurance and now reduced referral benefits, so struggling to justify the fee now. On another note, I used my MR gold at Lidl last week for the £5 off and I’ve not had any acknowledgement and the offer is still showing as saved so looks like that’s yet another one I’ll have to chase Amex for. I used 2 Amex offers over the weekend (Lidl and Chef & Brewer) and did not receive emails either. Have to see if any credits appear later in the week. Just checked my account on the Amex app and Lidl is now showing as redeemed so looks like my £5 Cashback is on the way! Which card though? I am finding that offers on the BA cards track immediately but I always have to chase the ones on the MR card. Amex Rewards CC. I have a supp BA Amex on my partners card and never get an email when I use an offer but my partners card always generates an email. I used to have an Amex Cashback and never received emails on that either. Interesting, further changes. This is all getting less appealing. 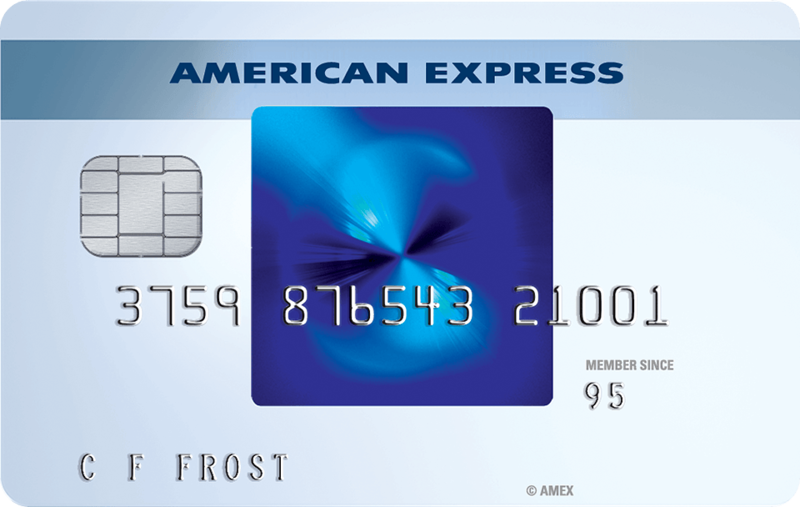 The Amex cards and their points are the only reason I follow this blog :(. Is the preferred rewards renewal bonus unchanged? I had intended to cancel having recently earned it but Rob’s post yesterday convinced me to keep it. Sadly, I don’t get to undertake business travel so 80% of my avios come from the credit cards and they’re all carefully spent after considering this site’s advice. Agree there is a lot more to the site than just Amex, but for me, much of it hinges on Amex as the source of Avios. 2% of the articles maybe… has anyone counted up the comments? Yes, until Curve go bust and stop paying Rob. Rob has started the change to a lifestyle blog; more hotel and flight stuff. The times they are a changin’. 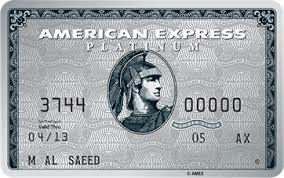 Amex isn’t bothered with the UK and seems to be moving towards servicing the business and corporate market only. Well that’s fine – as long as Plat gives benefits that are worth it. Where did you read this? I agree a price increase would be fine – Provided the perks match the increase and the reward loyalty in a different format such as using the key “Member since” number on all cards! In my experience the ‘Member since’ number only applies to that card in this time of holding. I have had a card since the 1980s or even 70s and that does not ppear. I’ve have Member Since 2014, and have had multiple cards (including more than one platinum card, which I currently hold) during that time. But I’ve always held one card at least and have held the same online services account. We could see a monthly Uber credit, like in the US? Really? Interesting. Uber is very divisive in the UK. And isn’t available in all majors cities; that would be a very London-centric move. Sounds right up Amex’s street then based on their Vista mailings! I applied last year and was rejected. Have since successfully applied for 2 other amex cards. Spoke to Amex CS about this earlier this year, they said its no longer available. Naively I had assumed the sign up bonus might go up, once the churning rate was limited to every 2 years. Similar to the USA “once a lifetime” large sign up bonuses. So with the introductory points being reduced, and with a flight to JFK about to be booked for August for x3 (x2 adults, x1 child), with a hotel stay in NY for 1 night (staying at parents for the remainder of time) does it make more sense to get the Platinum card, purchase the flights via Amex Travel and make use of free insurance, lounge etc and then cancelling once back. The 2k will be spent easily in the first 3 months (flights alone circa 1.7k) and we would make use of insurance and lounge access. This would (should!) net me at least 32k points, with any extra points accrued during the duration of spend before cancellation. Any advice would be greatly appreciated! Was researching cards yesterday, and finalized today opting to apply for Gold rewards, only to find the points massively reduced! Yes that’s quite possible. Don’t forget to apply for your Marriot and Hilton statuses as they expire naturally. If you want Platinum get Green first and upgrade. You should get 20,000 MR when you spend £1,000. Can you elaborate? Apply for green first, spend 1k, then apply for Platinum and spend the flights etc on the Platinum card? Cheers in advance – I’m new to cards / miles only having started research yesterday! No, apply for green; when it arrives upgrade to Platinum then spend £1,000 to get the points. But if you have no cards you can get 35,000 MR going direct if referred. If you’re brand new it would probably be best for you to apply for the Starwood card first – claim those miles via Marriott. Then BA then plat, as you’ll get all of the full sign up bonuses. Yes, makes a lot of sense given the cost of insurance alone. Thanks for comments thus far guys. I think i’ll just go straight for the Platinum – can anyone confirm that I can cancel within first year and whether that absolves the 450 fee or it is just refunded on a pro rata basis ? my head is thinking: clearly they supposed to have given some notice to the customers – i have put down a formal complain and if they really value us as customers should have given us notice. Tesco has massive backlash when they changed their terms for the clubcard maybe we shall all complain? I am due to pay £140 in the next 2 weeks and webchat has told me to call because i might have some offers to keep me as a customer. Well i have called and nothing that they can do to keep me on, they treat everybody the same and it doesnt matter how much i have spent in the last year – I did spent over £17k on the card – and they will be very happy to lose me. If they treat everybody equally why some people got they points twice for the next 3 months and I have not been offered anything? Why do some people get approved for a card and some rejected? OT: How long after receiving the plat card does my priority pass arrive? It should arrive soon. Usually I receive my priority pass before my amex. Thanks – got amex on Friday but PP not arrived yet. If you need the PP no, call PP, not amex, they can give it to you in the app. We did that for my daughter. Sometimes before, same day or a couple of days after maximum. Amex have changed to goal posts completely so my household I’ll hang onto BA Amex (with my wife’s supplementary card) instead of churning it and just churn the Gold card every 11 months with my wife as 1st year is free and lounge passes etc although if they start charging on the 1st year they will lose that one. With what’s happened at Curve as well I would think they may lose a little popularity! But churners are not who they want in the first place… I think they’ll gladly lose this “popularity”. Has anyone received an email from Amex with a link to a survey about the Gold card? I completed it a couple days ago, and the questions (among others) revolved around additional benefits (including recurring credits for airline spend) and other perks typically associated with the Platinum card in the US. Was actually intrigued they were asking that sort of questions about the Gold card, hinting there may be more value in it in the future than there is in the Platinum card. Why are people still bothering with Amex? I really don’t understand other than every two years? Well there are not many other options for earning any cashback outside Amex now, especially on free cards. The only options are IHG white (about 0.4p per £ in points) or Virgin Atlantic free card 0,75 miles per £) or Tandem at 0.5 %. You can still get min 1.5 % on SPG (but has fee of about £6 a month), 1% on free BA, 1% on Plat Cashback, 1% on Gold etc, 1% Nectar (2% if Nectar run double up again at Christmas). Nothing on Mastercard/Visa comes close apart from the paid for Virgin Premium card at 1.5% but has £160 fee, in year one is justifiable not so sure about year 2. Now looking a look more seriously at the vouchers that can be bought via various employee/health/childcare schemes . Most of these offer around 3.5% to 4% discount for supermarkets and 5 to 10% for other retailers like M&S, John Lewis, New Look, H&M, Currys, Ikea, B&Q etc. Some of these are now offering instant vouchers so you can do your shop and buy the vouchers straight away for the amount you need (as don’t like to leave money on gift vouchers as can forget about them or company goes broke etc). Can be paid for with Curve or some take visa/mastercard direct (so use IHG/Virgin/Hilton etc). With these you can end up saving more than even in a bonus period with Amex (which usually was at most 10% for the first £2000 on gold/plat, but around 5% on others), an why higher than after the bonus period finished. Apologies. If you can think of a greedier animal, feel free to substitute it for ‘pig’. The irony being those same gourmands will now have to eat scraps in steerage due to their excessive greed.